I have included here a list of my all-time favourites. Where important and not prevented by copyright, I’ve included actual recipes and instructions on how I think the drink should be made, based on making it far too many times. A second, much longer list represents basically all the drinks I think are worth making. Where able, I’ve provided recipes and where appropriate, I’ve made a few notes. For the majority without recipes, I’ve noted where you can find them. Once again, a few bucks on the PDT, Vintage Spirits and Forgotten Cocktails, The Essential Cocktail and an internet connection will cover you for the vast majority. As I’ve mentioned before in this blog, I keep all cocktail recipes with me at all times via Word files in Dropbox on my phone and computers. Where possible, I will list recipes and the way I think the following cocktails should be made. Where restricted by copyright, I will simply tell you where to find the drink yourself. I actually know some of the authors personally, and therefore don’t want to piss anyone off by diminishing book sales. Old-Fashioned. When made properly, which is almost never in most bars, this cocktail defines the genre. The simple perfection of the rye (though my countrymen will kill me for saying this, I only recommend making Old Fashioneds with American rye), sugar, aromatic bitters and orange is really hard to put into words. It’s an evening drink for the most part or if you must drink during the day, build a fire and wait until it’s snowing for the full effect of what this masterpiece has to offer. Soak sugar cube in bitters in a mixing glass. Muddle. Add ice and rye and stir well. Strain into chilled Old Fashioned glass. Zest orange over glass, rim glass and drop in. *The Old Fashioned cocktail is also often served with a splash of soda water. Vesper. I don’t drink vodka-based cocktails but for some reason the addition of vodka to this James Bond cocktail makes all the difference. I only use Nolet’s Silver Gin in my Vespers and always use my finest coupe for the drink. The lemon oil from the twist seems to be almost other-wordly. Pour the gin, vodka and Lillet into a cocktail mixing tin with ice. Stir until very cold. Strain into the chilled coupe. Martini/Gibson. 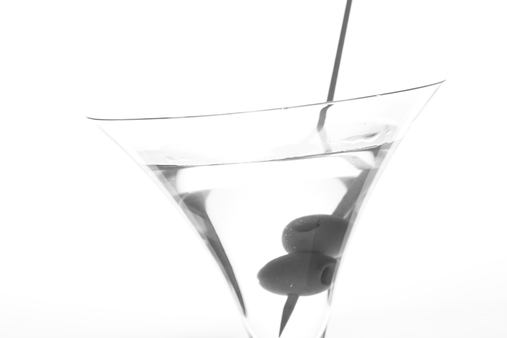 I drank gin martinis with olives long before I knew anything else about the world of cocktails. It was my go to drink. Now, in retrospect and without being overly snobby, I was ahead of the game as it is still one of the world’s great cocktails. 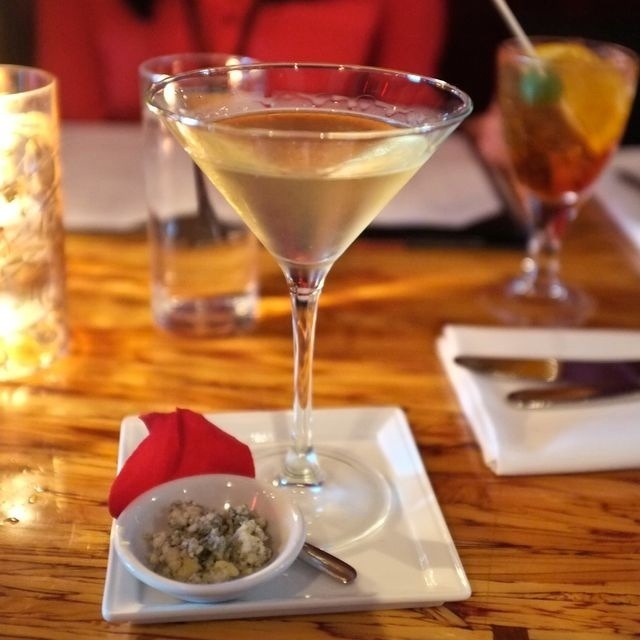 Martinis are meant to be made with gin, end of story. 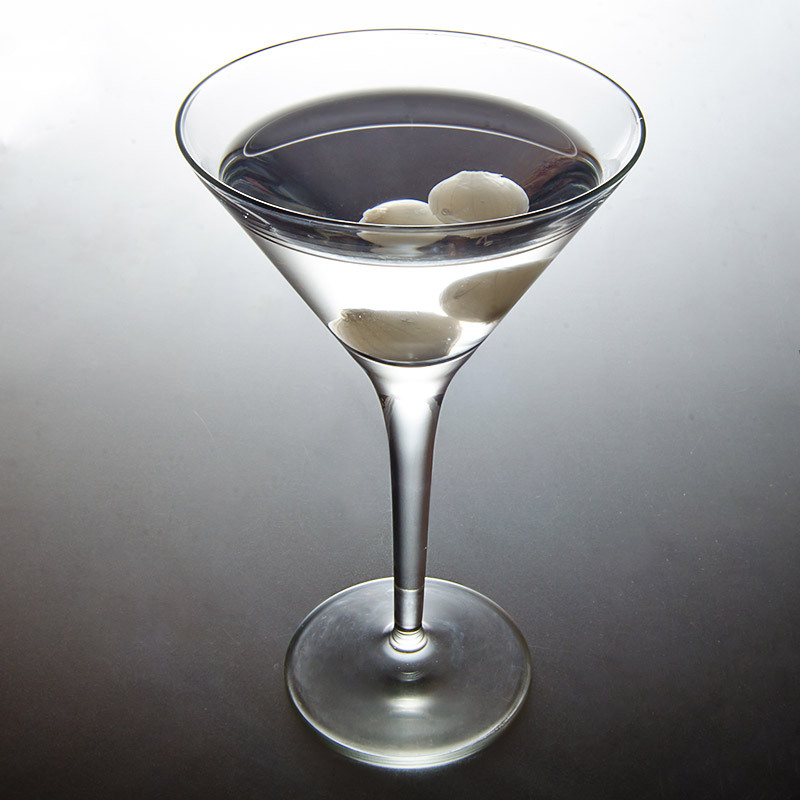 At some point, and I don’t know when, someone made me a martini with pickled onions instead of olives, a Gibson, and I was hooked. Martinis and Gibsons should be served straight up, very cold and very dry. 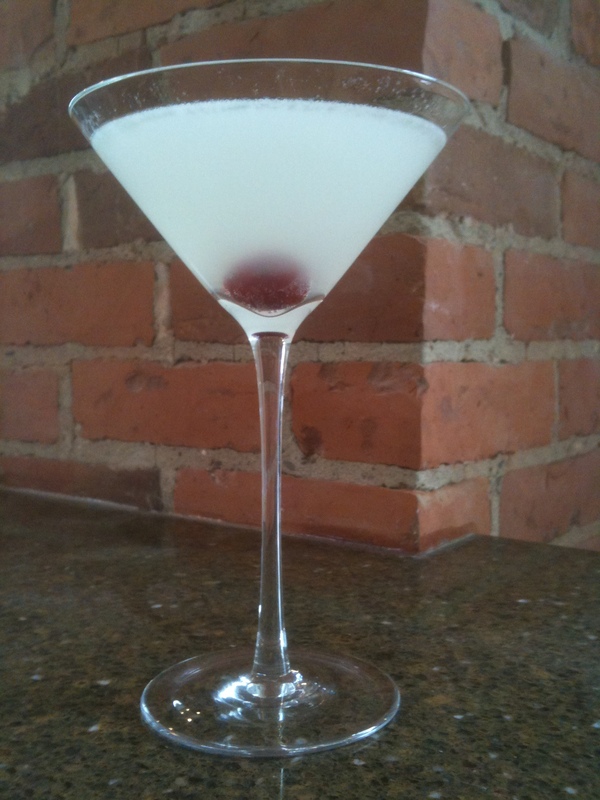 Martinis should be consumed quickly because once the gin warms, the drink begins to resemble jet fuel. 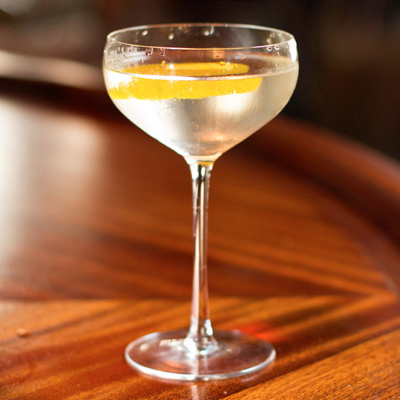 The original Martini was served in a 2:1 ratio, gin to dry vermouth. A while ago I got up the nerve to try the 2:1 ratio and gagged. Stick with a capful rinse of the vermouth. Rinse the vermouth in a chilled martini glass. Discard excess according to desired dryness. Add gin to an ice filled cocktail shaker and stir until very, very cold. Strain gin into prepared martini glass. Add olives or onions on a cocktail skewer as garnish. Stinger. I stumbled upon this old classic a few years ago and have been totally enamoured with this amazing cocktail ever since. Again, so simple yet complex. This is a drink to be consumed by the fire or on a cold night. The original versions were made with a lot more crème de menthe than currently. Use VSOP Cognac and Tempus Fugit’s Crème de Menthe if you can find it. 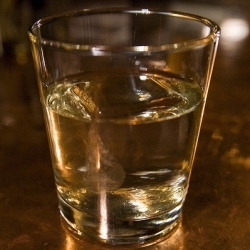 Never use green crème de menthe as it turns the drink pukey brown when mixed with Cognac. Strain into a dainty coupe or stemmed sherry glass. Add mint sprig (if desired) and serve. Pina Colada. When I first started out in cocktails, I thought the Pina Colada was a cheeseball drink served in plastic cups at Caribbean all-inclusives. 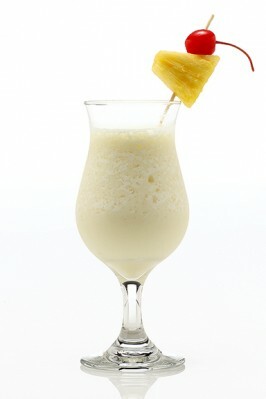 While that’s still completely true, a well-made Pina Colada from scratch is a revelation. 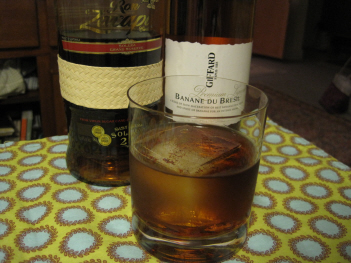 I recommend you follow Dale DeGroff’s recipe from The Essential Cocktail. The key is using frozen pineapple chunks and Coco Lopez. See the Sources for more info. Singapore Sling. 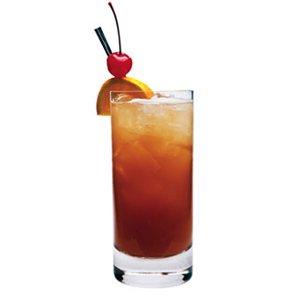 When the LCBO finally started to stock Heering Cherry I made my first Singapore Sling. If you don’t have Heering Cherry, I wouldn’t even bother. It makes that much of a difference. This surprisingly boozy cocktail from Raffles Bar in Singapore is to be served in very hot weather with people who appreciate the finer things in life. Pour all ingredients (except Rhubarb bitters) other than the soda water into a cocktail glass and shake with ice for 10-20 seconds. Strain into a Sling or Collins glass. Garnish with lemon slice and Rhubarb Bitters. Add small amount of soda on top of drink (~1 oz). 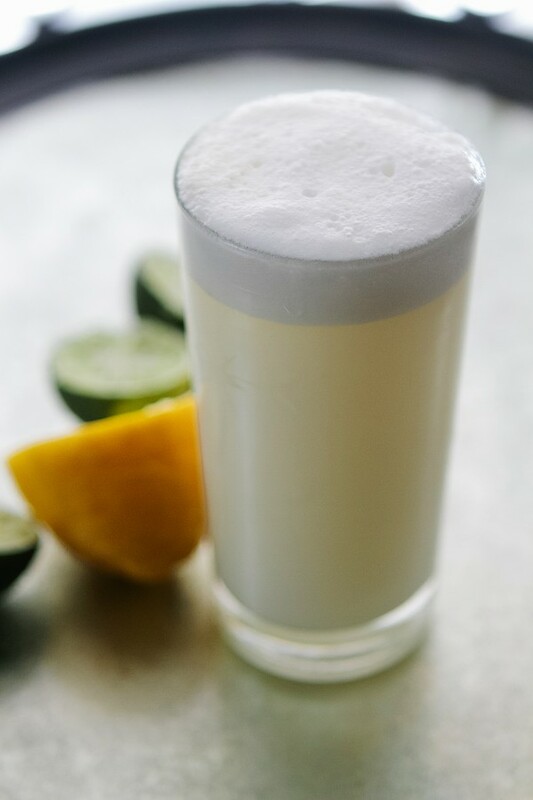 Ramos Gin Fizz. Like most people, I don’t drink cocktails in the morning very often. That said, surprising guests at 10 AM on the patio of a cottage with a Ramos Gin Fizz is one of life’s simple pleasures. The key to this cocktail is the orange flower water. Add all liquid ingredients into a cocktail shaker and dry shake vigorously. Add ice and shake vigorously for what might seem like a ridiculous length of time. Serve in a Collins glass and garnish with a small flower or citrus twist. The Blue Fig. 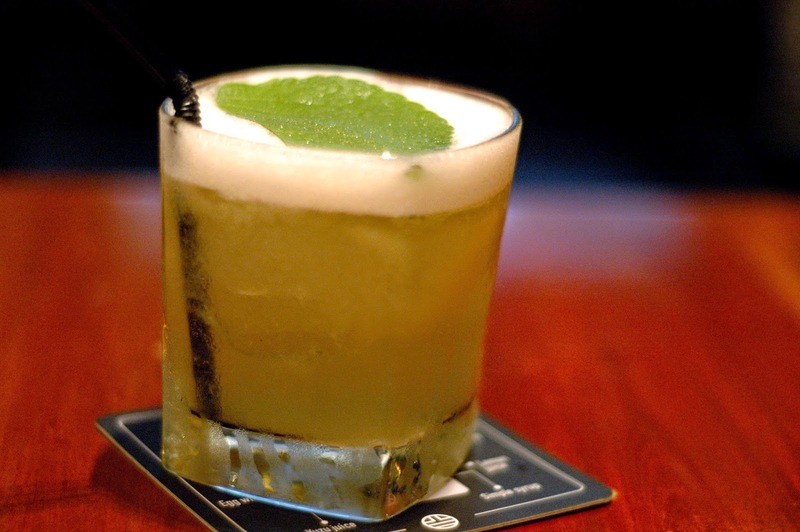 I first had this drink at Chambar restaurant in Vancouver in 2012. It’s basically a gin martini that has been infused with roasted fresh figs. When paired with a small plate of Stilton, you may never make anything else for the rest of your life. I make this in the evenings both summer and winter. Guests are always blown away. Roast a small basket of fresh figs at 400° for 25 minutes. Cut figs in half and place in a Mason jar with the correct amount of gin according to how many people will be having the drink. Infuse for 24 hours in the fridge. Use within one day. When ready to serve, double strain gin and then stir with ice until very cold. Strain into vermouth-rinsed chilled martini glasses. Serve without garnish with a small dish of crumbled Stilton. Platanos En Mole. There are about a million recipes to love from the PDT. For some reason this is one of the best in my eyes. It basically a rum martini with crème de banane instead of vermouth. The powdered chili adds an incredible vegetal quality to an otherwise unbelievable cocktail. The Howdenvale. I created this cocktail and, humbly, have added it to the list of my favourites. It’s a summer drink all the way, best served on a patio in the sun. The key is getting your hands on fresh rhubarb, one of North America’s remaining seasonal fruits. Frozen from specialty stores works as well. Muddle ginger well with syrup. Add other ingredients and dry shake. Strain into a chilled coupe and garnish with orange twist. Resting Point. 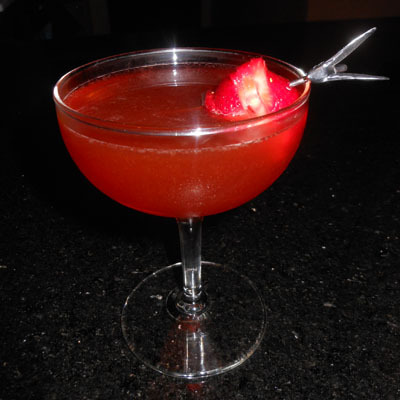 Another PDT masterpiece, this cocktail calls for muddled strawberries, which pretty much always makes a cocktail great. 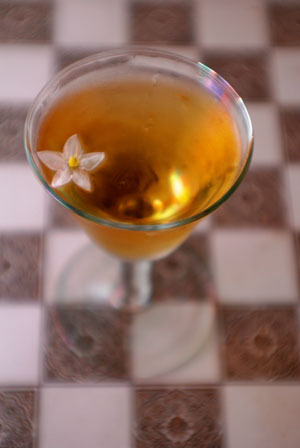 Tequila, Punt y Mes and yellow Chartreuse round this drink into perfect form. All season. four seven two. Frankie Solarik from Barchef in Toronto included this drink in his Barchef cocktail book and with good reason. The cola bitters, whiskey and mint all go together so perfectly well. I once gave friends mint syrup and cola bitters for Christmas in an effort to get them to make this amazing cocktail. 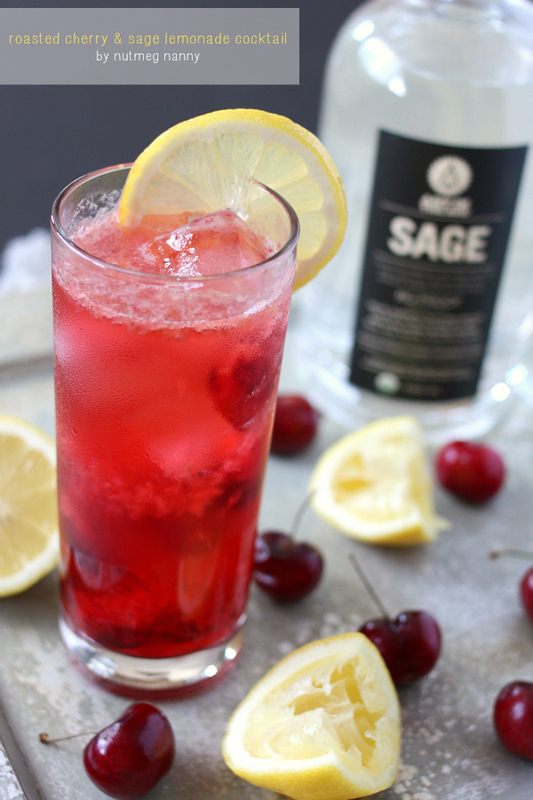 Roasted Cherry & Sage Lemondade. I pulled this incredible summer cocktail off www.nutmegnanny.com. It was one of those cocktails that sneaks up on you as I wasn’t expecting much during the preparation. The end product, however, totally blew me away. Unfortunately, you’ll need to get your hands on AITA Sage to make it. Vigorously muddle the cherries in the lemon juice in a largish juice glass. Add ice, Sage and top with 4-6 oz Club Soda. Stir gently and garnish with lemon. Strain into chilled Old Fashioned with ice. Roast pitted and washed cherries in a parchment paper-lined glass baking dish at 425 degrees for about 25 minutes. Albert’s Rocket. My wife and I discovered this unbelievable drink at the Home Hotel bar in Buenos Aires. I nailed it back in Toronto on my first attempt, which is the first and only time it’s ever happened. It is the only cocktail of which I’m aware that calls for olive oil. Muddle the rocket leaves in the olive oil in a cocktail shaker. Add tequila, lemon, syrup and egg white and dry shake until foamy. Strain into a chilled coupe. Garnish with small rocket leaf. The Real Lady Marmalade. I had this cocktail at the HPS bar in Amsterdam, one of my all-time favourite bars. The bartender was nice enough to share the recipe with me. The tricky part is finding marjoram. You might as well head straight to a specialty grocer or Whole Foods because regular grocery stores almost never stock it. Add all ingredients except marjoram into a cocktail shaker with ice. Shake and then strain into a chilled flute. Garnish with slightly bruised marjoram sprig. Red Gin. I modified a similar recipe I found on localwinesandspirits.com into Red Gin and it has become a huge summer favourite with my friends. POM now sells small containers of pomegranate arils, meaning you can get them out of season. That said, this cocktail is mainly meant for hot days. Infuse gin with muddled pomegranate arils for 1-3 nights (if time permits) in the fridge. Filter before use. Mix all liquid ingredients with ice in a cocktail shaker and shake for 10-15 seconds. Serve into chilled Collins glass with two ice cubes. Top with soda water and pomegranate arils. Stir gently. Top with the dashes of sweet bitters. Shiso Malt Sour. I waited quite a while to try this PDT cocktail because I thought it was hard to find Shiso. Once I realized it was readily available in Chinatown, this cocktail became an instant favourite. 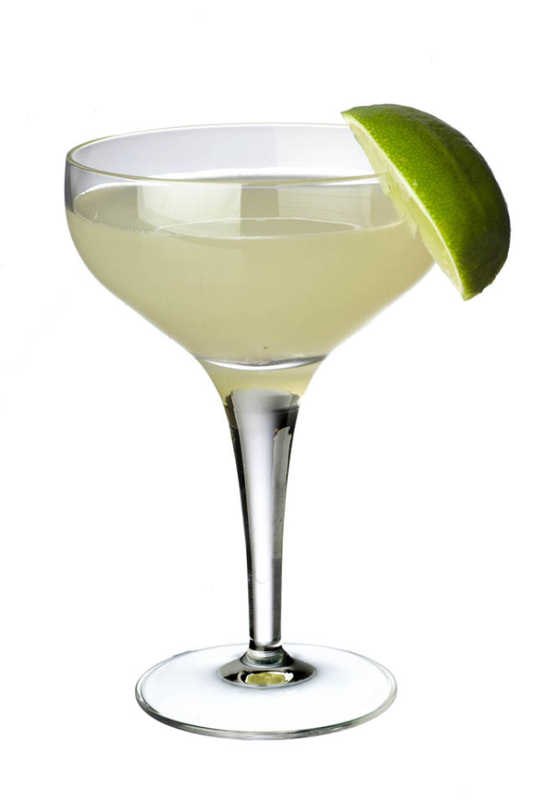 Daiquiri. Like Pina Coladas, I associated Daiquiris with cheeseball bars. How wrong I was. A Daiquiri is basically an excuse to drink the absolute best rum you own. For me, it’s always Smith & Cross. This isn’t exactly the way Hemingway drank them at La Floridita bar in Havana (which I’m proud to say I’ve visited), but I like this traditional approach best. Shake all ingredients with ice and strain into chilled coupe. 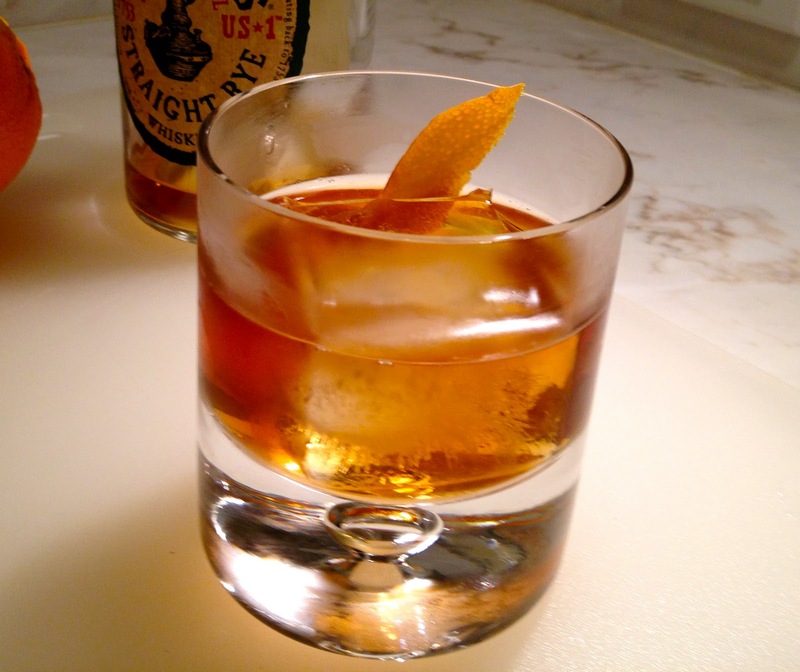 *Serve over ice in an Old Fashioned for those who might find it too boozy. It’s all about the rum, FYI. Use a really flavourful spirit. Gold Coast. This PDT cocktail represented one of the first savoury cocktails I really fell for. Considering it is entirely based on vodka and uses dill, an herb of which I’m not normally fond, it’s amazing how much I like it. Any chance, however, to use Aftelier’s mind-blowing black pepper chef’s essence, is a reason to drink and drink and drink. All that said, this is a different type drink. Do not serve to cocktail newbies. They won’t get it. Aviation. The Aviation was the first cocktail I really started to make on my own and the one to lead me down this path. I drank Martinis and then Gibsons before The Aviation but it was the drink that opened up the world of cocktails. I’m also strongly drawn to floral drinks, and there really isn’t anything better than good Crème de Violette. Mix all ingredients in cocktail shaker over ice for 10-15 seconds. Serve in martini glass with lemon twist and flowers. Add all ingredients into a large mason jar with rye for ‘dark’ bitters, gin for ‘light’ bitters and vodka for ‘delicate’ bitters (lavender, cacao). Then add principle flavouring. Shake every day, store in a dark place. Wait 1-2 weeks depending on main flavour. Filter with fine colander or cheesecloth and then 3 times through Brita filter. Add herbs to one mason jar. Add flavouring to the other mason jar. Fill both with gin and seal. Shake daily. After 2 weeks filter liquids through fine sieve. Dissolve 5 tsp sugar in 1 part bitter liquid and 20 parts flavoured liquid to a plastic bottle with squirt lid.